President of Border Donald Trump said on Sunday how immigration officials would spend the $ 5 billion the White House demands from Congress to claim a wall along the US-Mexico border would "not just finance a stupid barrier." "This is a wall system about 215 miles long," said Customs and Border Guard Commissioner Kevin McAleenan on ABC's "This Week". In his calculations, various auxiliary technologies were used to support the enforcement measures. "What we're talking about is not just a mute barrier," McAleenan said. "We are talking about sensors, cameras and lig access roads for our agents, a system that helps us to secure this borderline. That's why we asked the congress. " The border guards have already built a barrier along the 35 miles of the 40-kilometer wall, which is being funded with US $ 300 million from the 2017 President's Budget," McAleenan said, "a record time for significant government procurement of this nature, "he added. And Customs and Border Protection is "already under contract and construction for parts of the wall funded by the government's 2018 budget," McAleenan said. McAleenan also defended the effectiveness of the proposal, which has led the government to more than a week's stalemate and a fierce, partisan financing battle. 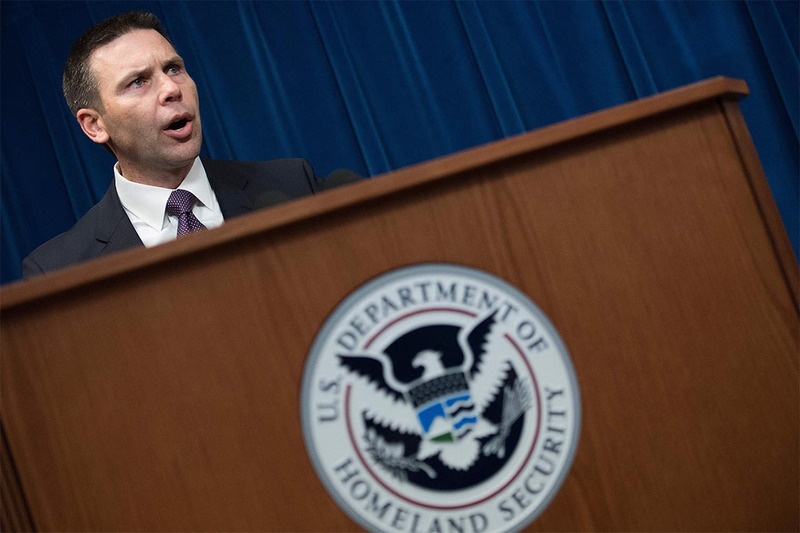 "We need a barrier that helps us stop that to push traffic into areas that we can control more effectively," McAleenan said, citing mass entry and an influx of narcotics along the southern border. "We have to attack all the different vectors that could threaten us," he added. Have you missed the latest measuring spoons? Sign up for POLITICO Playbook and receive the latest news in your inbox every morning.